Tooth extraction is a procedure where a tooth is removed from its position in the jaw bone. One or several teeth may be removed for various reasons. Extraction may be necessary in a broken or badly decayed tooth or sometimes even a healthy tooth. Although permanent teeth are meant to last a lifetime, it may need to be removed for a number of reasons. A tooth may be removed if it is badly damaged due to fracture or decay. A badly decayed or broken tooth that cannot be treated by root canal treatment may cause severe pain and lead to infection in the jaw bone. Some people may have extra teeth called supernumerary teeth, that may need to be extracted. These extra teeth can cause crowding of teeth and cause problems in oral hygiene maintenance, leading to tooth decay, bad breath and gum infections. In people whose milk/primary teeth do not fall on time and get retained into adulthood, such teeth will need to be removed. Teeth may need to be removed prior to orthodontic treatment, to gain space for teeth alignment. The premolars are the teeth that are usually removed for this purpose. Other teeth may need to be removed depending on its position and treatment plan. A permanent tooth may get impacted like the wisdom tooth. Wisdom tooth removal may be necessary in such cases. Other teeth may be partially or totally impacted within the jaw bone. In such cases, X rays are taken to identify its exact location and position. These teeth may need be surgically extracted. Teeth may become loose due to infection of the gums and jaw bone as frequently seen in diabetic cases, called periodontitis. Care protocol for diabetes is available at the centre for disease control and prevention. These teeth have varying grades of mobility. Teeth with severe mobility that causes hindrance while chewing food may need to be removed. Tooth may also become loose in patients with uncontrolled diabetes. Such patients need to maintain a good oral hygiene and get teeth cleaning done at least once in six months. In patients with compromised immune system the risk of infection is high and so infected tooth may be removed. Patients undergoing chemotherapy or organ transplant may also need tooth removal for the same reason. A simple or surgical extraction procedure may be required depending on the position of the tooth in the jaw. An impacted tooth will usually need to be surgically extracted. Simple extraction – In a simple extraction the tooth is totally visible in the mouth. Local anesthesia will numb the area and simple elevation of the tooth is sufficient for the teeth to be removed. Surgical extraction – In cases that are more complex where a tooth is fractured of at the gum level or in impacted cases where only partial or no tooth is visible in the mouth, surgical extraction will be required. Local anesthesia or intravenous anesthesia may be administered. An incision is made into the gums to expose the tooth. Further bone cutting may be required in some cases. Sutures are placed after the extraction procedure. Healing of the surgical site usually takes place within a week. 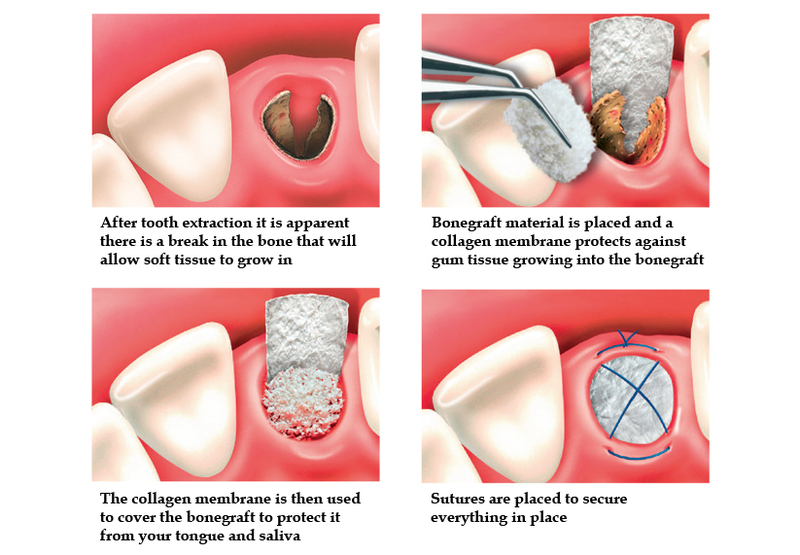 After a simple or surgical extraction you will be sent home with a gauze packed over the extraction socket. This gauze must be left in place for at least half an hour. This helps to reduce the bleeding post extraction. If bleeding persists, replace the gauze with a new one and continue holding it over the extraction socket for an hour or until bleeding stops. Relax for the first 24 hours. Do not overexert yourself for the next one or two days. Antibiotics may be prescribed in certain cases where we feel there is a risk of infection. Painkillers will be prescribed 2 to 3 times a day for 2 to 3 days to relieve you of any pain post extraction. You can place an ice pack at an interval of 20 minutes over the cheeks adjacent to the extraction site. This will help reduce the severity of post operative swelling in cases of surgical extraction. Most heat must be applied after 36 hours. Eat soft, cold foods for the next few days. Rinse your mouth lightly and avoid brushing over the extraction area for a few days. Mouth washes may be prescribed for a week or two to control bacteria and bad breath. Rinsing mouth with warm salt water 36 hours after extraction is also helpful. Do not use straws to drink for a few days as it may displace the clot in the socket. Do not smoke or use other tobacco products until the site totally heals. Do not lie down with your head flat as it may prolong the bleeding. Prop your head up a little with the support of a pillow. Your tongue, lips or cheek continue to feel numb a day after the extraction. If bleeding continues after 24 hours or if there is severe pain , please schedule an appointment for a check up. The initial healing period usually lasts from one to two weeks. New bone and will form in the empty socket and the gums will heal to cover the extraction site. An extraction site must not be left empty as it may cause the adjacent teeth to drift into the empty space resulting in spacing and cosmetic issues along with occlusion problems. Such extraction spaces must be replaced with a dental implant or a dental bridge. After a tooth is extracted, new bone forms in the socket and the socket heals. But over a period of time, without stimulation from a the tooth root, the socket bone begins to resorb or reduce in height and density. This deformation in bone can cause the adjacent teeth to tilt into the space. There can also be a problem in cases when an implant needs to be placed in the extraction site. Sufficient bone height and density is required for an implant to be fixed successfully. The socket preservation involves packing a bone graft material into the tooth socket and placing a membrane over it. The gums are then sutured to cover the opening. The bone graft may be an autograft (from the same person), allograft (of a different person), xenograft (graft from another species) or synthetic bone graft (made of hydroxyapatite or other naturally occurring biocompatible materials). 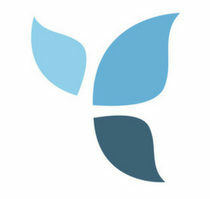 Synthetic grafts are most commonly used. It comes in blocks of bone or bone in particulate form which can be easily packed into the socket. According to the Journal of Canadian Dental Association, the bone grafting procedure greatly helps in preserving the ridge form and structure. Regular check ups and x-rays will be required to follow up with the bone remodelling process which usually lasts from a few weeks to months. The cost of socket preservation is charged in addition to the tooth extraction charges and depends upon the amount bone material required for such purpose.